As work proceeds at St Nazaire on the largest cruise ship afloat, the 227,000-ton Harmony of the Seas, Royal Caribbean International has announced its newest port, Splashaway Bay, which happens to be the children’s water park on board the new ship. 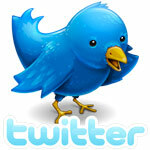 Other details have also been announced recently. Meanwhile, from naval architects Knud E Hansen in Denmark comes news of a new green expedition ship design. And Down Under, Coral Princess Cruises has now renamed itself as Coral Expeditions. Not for the first time has the French shipyard at St Nazaire built the largest passenger ship in the world. As well as the French Line’s 83,423-ton Normandie in 1935 and Cunard Line’s 148,528-ton Queen Mary 2 in 2004, it is now in the process of completing Royal Caribbean International’s 227,000-ton Harmony of the Seas for delivery next spring. The St Nazaire yard won the order for this giant away from the Finnish shipyard in Turku that had previously built the Oasis of the Seas and Allure of the Seas. This is the first of two Oasis class ships to be built by St Nazaire. The second is due in early 2018. Harmony of the Seas will debut with a European cruise season from late May through to October 2016 and then move to year-round 7-Night Eastern & Western Caribbean cruises from Fort Lauderdale in November 2016. 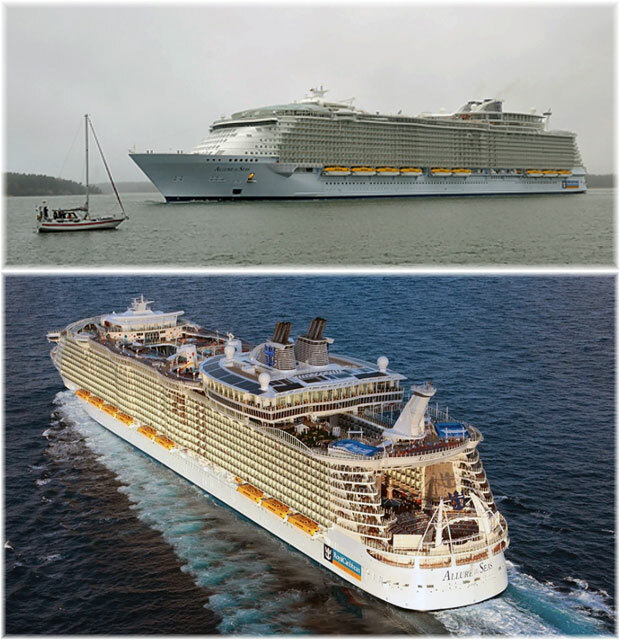 As the world’s largest cruise ship, Harmony of the Seas will introduce a number of new features that do not appear on the first two Oasis class ships, Oasis of the Seas and Allure of the Seas. At 16 decks, she can accommodate more than 5,400 passengers, nearly 100 more than the first two ships. In appearance too she will differ, with what looks a “bonnet” array over the bridge and a new water park changing some of her forward profile. The Harmony will be the first in the Royal Caribbean fleet to feature a large water park for kids, called Splashaway Bay, which at first sight could be mistaken for one of the new pop-up ports the cruise lines are bringing us these days. Harmony of the Seas introduces the largest number of slides at sea including the Ultimate Abyss, tallest at sea with a 10-storey drop, and the Perfect Storm, a trio of thrilling water slides. And adopted from the Quantum class ships, robots will mix cocktails at the new ship’s Bionic Bar. Passengers will also have a rich choice of restaurants. Coastal Kitchen will be exclusive to suite guests. A new Royal Suite Class is also being introduced on Harmony of the Seas, which will be available only on the Oasis and Quantum class ships. Amenities will include 24-hour personal butler service, all-inclusive drinks, private dining at Coastal Kitchen specialty restaurant, a private sun deck, complimentary high speed Internet, complimentary access to the spa thermal suite and on board gratuities. The size of these new ships can be a problem, however. 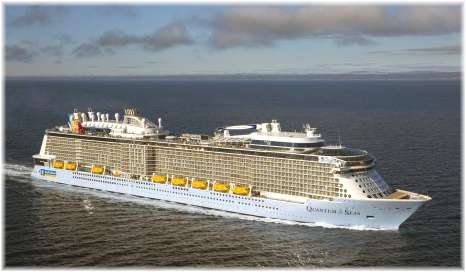 Royal Caribbean International is sending its next Quantum class ship, Ovation of the Seas, to become the largest ship ever to be based in Australia in 2016, for example. In the process, the line has found out that she will not fit into Melbourne, while at Auckland she will not be able to dock until facilities have been enlarged, so landings will have to be made by tender. Sister ship Anthem of the Seas had a similar problem with Bermuda this year and is therefore cruising out of Southampton instead of New York this year while arrangements are made to see that she can berth in Bermuda (and remember this is at the new Dockyard port in Bermuda and not at Hamilton). Harmony of the Seas debuts in Southampton on May 29, 2016, with a 7-night Southampton to Barcelona cruise and then commences service from Barcelona on June 5, 2016. When she reaches Fort Lauderdale, she will operate from the same massive terminal used by her near-sisters Oasis and Allure of the Seas. Last week, Danish naval architects Knud E Hansen introduced its new green-design expedition ship. 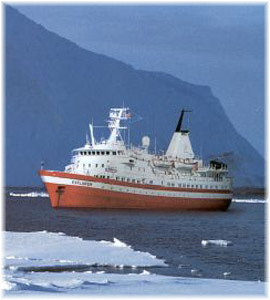 As far back as the 1960s, Knud E. Hansen designed the first polar passenger ship, the Lindblad Explorer, while more recently, it designed Hurtigruten’s polar expedition ship Fram. The new 456-foot design will have a moulded breadth of 67 feet and a draft of 15’9″. The design allows for Arctic and Antarctic itineraries of up to three weeks, carrying 300 passengers in 150 cabins arranged on three decks. Somewhat surprisingly, there not many cabin balconies have been provided for in the new design. Strengthened to Ice Class 1A, the new class has a service speed of 17 knots. Facilities will include a panoramic observation lounge, helicopter deck and glass aircraft hangar in the middle of the observation lounge. Two Jacuzzis on the top deck are primarily heated by solar energy. A large sea garage and retractable overhead davit is arranged at the transom for up to 15 Zodiacs and jet-skis, while a tender boarding station at the aft end of the ship accommodates a lobby, mud room and expedition store. This is connected to the passenger accommodation by an elevator and stairway. A remotely operated vehicle can reach depths of up to almost 10,000 feet. Propulsion is provided by two azipod units and two bow thrusters, driven by a diesel-electric power plant with four medium-speed diesel generators in two separate engine rooms. Engines can be specified for Tier III NOx emission levels without exhaust gas treatment. Solar cells offset the vessel’s electrical load and space is reserved for battery systems will provide emission-free and silent sailing in sensitive areas. This design is also green in that engine heat recovery systems provide all of the vessel’s heating requirements and innovative heating, ventilation and air conditioning systems will also reduce energy consumption. The vessel also features advanced LED lighting with smart control systems and highly insulated windows and exterior bulkheads. This new design should be compared with Project Unlimited, a design from Sunstone Ships of Miami. This new building project features the development of a new luxury expedition cruise fleet capable of carrying up to 240 guests. At the same time, Project Unlimited seeks to set a new standard in expedition vessels with all outside balcony suites, an ice class of 1A, compliance with all new SOLAS and Polar Code Requirements, Safe Return to Port and the ability to operate in both polar and warm-weather climates. Together with Delta Marine, a general arrangement was worked out to cover requirements in regards to vessel size, capacity, suitability for different markets, compliance with rules and regulations, and all cabins having either balconies or large exterior winter garden spaces. During 2013-14, Sunstone Ships contacted approximately sixty-five shipyards on the subject of building these vessels. From these, a decision was made to select one yard, and last year a Letter of Intent was signed with Meyer Werft of Papenburg to build these vessels when they are ordered. At a maximum speed of 16 knots, fuel consumption is 22.2 tons per day at 800 kw hotel load. The vessels have also been built for extended operation and at 12.5 knots, have a range of 10,000 nautical miles or 33 days. At full speed, the range is 6,550 nautical miles or 17 days. Although the new Hansen design might provide for 300 passengers, and therefore better economics in some areas of operation, this many berths are not needed in Antarctica, where the numbers permitted to land are strictly limited. And the limited provision of individual balcony cabins could be a serious drawback when operators such as Ponant are already providing balconies for almost everyone who wants to go to Antarctica in their new quartet of 246-berth vessels. From John Treacy’s Down Under “Cruising” magazine we have news that after thirty-two years of operation Coral Princess Cruises has recently rebranded itself as Coral Expeditions. 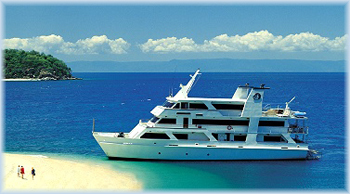 With three purpose-built ships, the company offers shorter Great Barrier Reef cruises and longer voyages on the Kimberley coast and to Papua New Guinea. 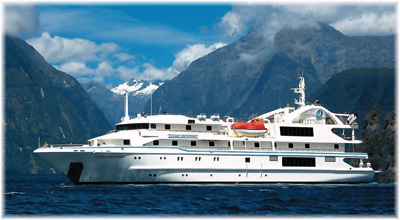 Top come this year will be a coastal cruise of Tasmania. The 50-berth Coral Princess and 44-berth Coral Princess II, both catamarans, will be renamed Coral Expeditions I and Coral Expeditions II while the 72-berth Oceanic Discoverer will become the Coral Discoverer. These renamings make us wonder if Princess Cruises has somehow hunted down the little Australian company, as they have done with others such as what is now Blount Small Ship Adventures, which named one of its ships Caribbean Princess, to get them to stop using Princess names. They have not succeeded in the case of Fairmont, however, which has Princess hotels that predate the cruise line. Coral Princess Cruises was started by Captain Tony Briggs in 1984 using a Fairmile class naval motor launch converted to carry 24 passengers as the original Coral Princess.